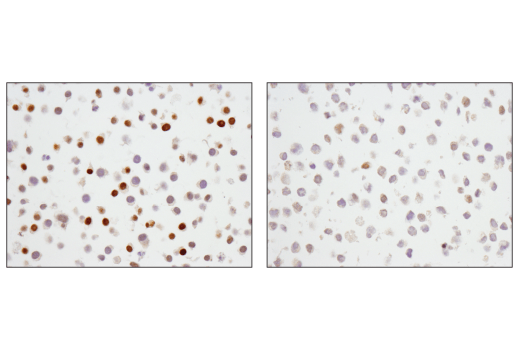 Immunohistochemical analysis of paraffin-embedded U266 cell pellets (left, high-expressing) and Daudi (right, low-expressing) cell pellets using p27 Kip1 (SX53G8.5) Mouse mAb (IHC Formulated). 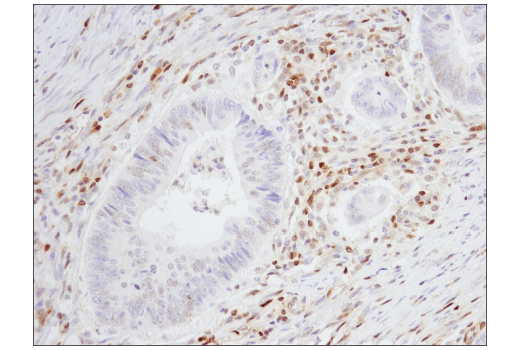 Immunohistochemical analysis of paraffin-embedded human colon carcinoma using p27 Kip1 (SX53G8.5) Mouse mAb (IHC Formulated). 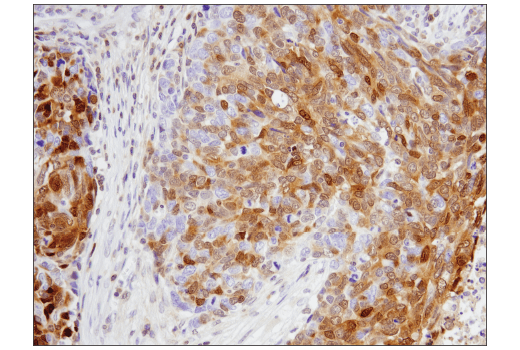 Immunohistochemical analysis of paraffin-embedded human non-small cell lung carcinoma using p27 Kip1 (SX53G8.5) Mouse mAb (IHC Formulated). Immunohistochemical analysis of paraffin-embedded human B-cell non-Hodgkin's lymphoma using p27 Kip1 (SX53G8.5) Mouse mAb (IHC Formulated). 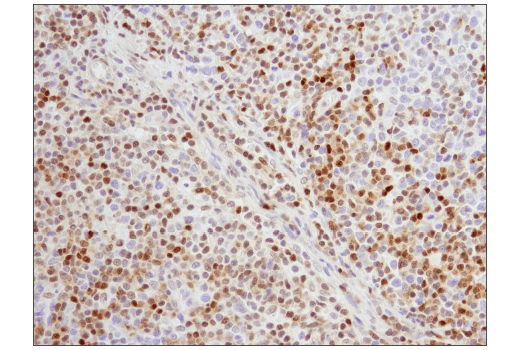 Immunohistochemical analysis of paraffin-embedded human prostate carcinoma using p27 Kip1 (SX53G8.5) Mouse mAb (IHC Formulated). 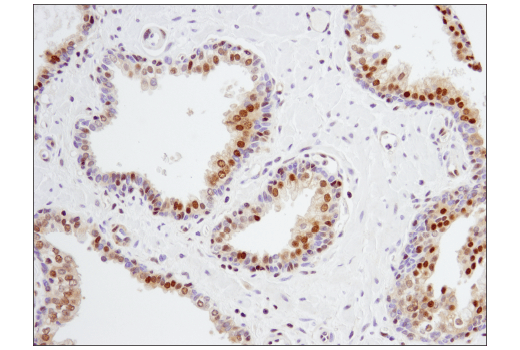 p27 Kip1 (SX53G8.5) Mouse mAb (IHC Formulated) recognizes endogenous levels of total p27 Kip1 protein. Monoclonal antibody is produced by immunizing animals with recombinant human p27 Kip1.